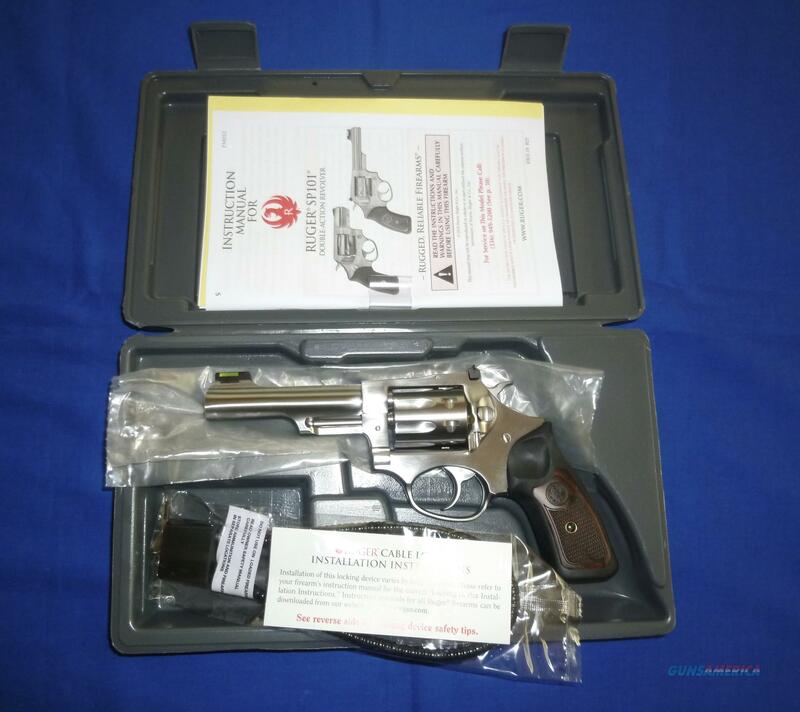 Description: RUGER SP101 22LR DOUBLE ACTION REVOLVER. 4.2" half-lug barrel, fiber optic green front sight, fully adjustable rear sight, 8 round capacity, SA/DA, stainless steel with a satin finish and black rubber grips with laser engraved wood inserts. This revolver is brand new in the case with lock and paperwork. No fees or surcharges for credit card payment.